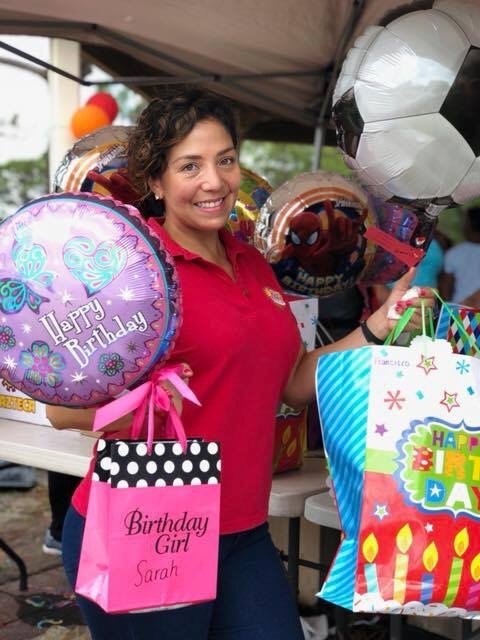 Kakes 4 Kids is a non-profit organization that celebrates the birthdays of over 400 foster and underprivileged children in South Florida. We believe these children's lives need to be celebrated. They need to know their importance in order to build their self-esteem. This is why we organize birthday celebrations complete with food, entertainment, and personalized cake and gift for every child. For the last 9 years we have celebrated over 3,000 birthdays of foster children living in group home setting. This includes His House Children's Home and Center for Children Enrichment in Miami Gardens, Children's Harbor in Pembroke Pines, and Arris in Fort Lauderdale. In Addition we also celebrate the lives of underprivileged children attending an after school program at Hope Outreach in Davie. Our Mission Statement: Kakes 4 Kids believes that every birthday should be special. Our goal is to make foster and underpriviledged children understand that their birth was the start of a precious life. We are confident that children who understand their importance grow up to be admirable adults. Gift specially selected for the child, just what they asked to get. Ongoing outreach for volunteers and connecting community to issues affecting foster and underpriviledged children. We enlist the help of over 300 volunteers a year. We have established Kakes 4 Kids clubs at 5 local high schools to get the high school students to volunteer and make a difference in the lives of the children we serve in the community. Learn more about Kake 4 Kids, Inc.